Hello world! « John Bartram Lives! It’s been 302 years since I was born. In all of that time, people have returned to my garden on the banks of the Schuylkill River to the south of the main intersection of Broad and Market Streets in the city of Philadelphia. They have seen what is left and have acknowledged what they know or are told about my plants or Billy’s paintings or the nursery’s introductions. They are introduced to botanical history and horticultural wonders. They smell the mulch in the spring or the composting leaves in the fall. They wonder whether any of it is still vital. Is it still important? And I smile. I still believe, after all of these years, that it’s vital. It’s crucially important to our survival. We need to remember and know that Horticulture (with a capital “H”) provides us with nourishment for body and soul. Horticulture promises the future. Horticulture confirms our place in the natural order. Horticulture is our future. And that is why John Bartram Lives. His spirit returns triumphant. Welcome to the modern world, which you are enriching by looking to the past and reminding your audiences about what matters in life, including horticulture with a capital “H” ~ I wish for you an easy transition from the quill pen and ink to the keyboard and ethereal world wide web! I am truly humbled by your words. Who knew it could be like this? So glad you are keeping the legacy alive. John is not to be swayed or quieted. His is a unique voice. 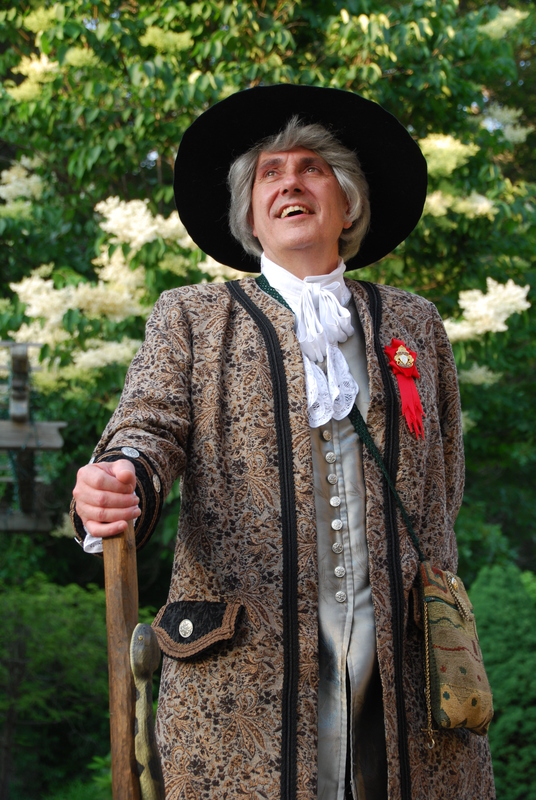 Welcome, Mr. Bartram, to the blogosphere. You have much to contribute. As does your mentee, Mr. Brown. You both do excellent work. As with most things, once you start it gets easier. But I was truly amazed at how simple using this template was. There are some creaky aspects to it and you have to tweak around it here and there–but I am awed by the technology. Who knew?!!! You have truly galvanized John into affirmative action. He cares deeply about his message.